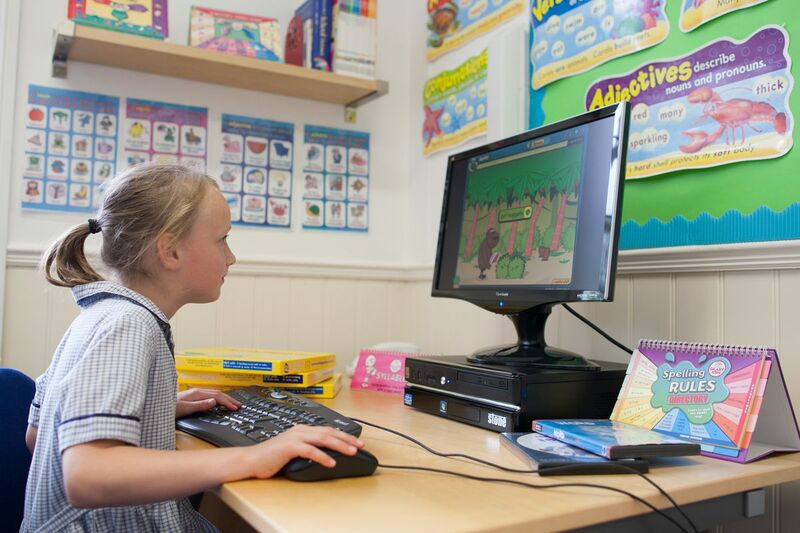 The Learning Support department plays a vital role at Cranleigh Prep School and we pride ourselves in the knowledge that we get to know the children that we teach as individuals. The department assists those for whom work is made more challenging by Dyslexia or similar learning difficulties. It works in close conjunction with subject and form tutors to ensure that support is provided for those children who need it. We strive to ensure that every child reaches their full potential and it is our aim to identify children with any special educational need as early as possible in their time at the school. The department works to boost each child’s self-esteem and to capitalise on and increase their strengths, as well as remediating areas of weakness. Within the classroom each child is set realistic challenges with realistic outcomes. If the child cannot meet these outcomes, they may need additional support in order for them to learn more effectively. Support for the child may be given alongside them within the classroom by learning support assistants or the child may be taken out of a lesson and given either individual or small group support. Our specialist teachers take an active part in the school community and help to unlock a child’s potential. The department is staffed by four experienced teachers with advanced skills in teaching children with specific learning difficulties. The department is very well resourced and the specialist teaching rooms have computers and a range of multi-sensory programmes to support learning. A whole school approach is adopted so that the mainstream and specialist teachers work together for the benefit of pupils with special educational needs. There is a shared responsibility for making the curriculum more accessible to all pupils. The learning support department aims to offer support to those who are having difficulty acquiring literacy and / or numeracy as well as study skills. Achievable targets are set and we work in close partnership with parents. We will recommend external assessments and specialists input, if appropriate, and incorporate their advice into our teaching. We recognise that some of our pupils put in great effort to overcome their difficulties or weaknesses; they need encouragement and support both at school and home to do this. We are proud of the progress made by our pupils; we celebrate their strengths and achievements.